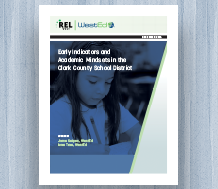 Additional studies on current priorities are being designed with the REL West research partnerships. Low attendance and failing grades link to lower rates of students on track for graduation. 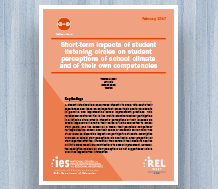 This research study examines whether participation in student listening circles increases students' school connectedness. 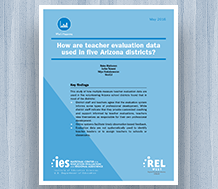 Learn how five school districts use teacher evaluation data to inform workforce decisions. Research study findings can help educators rethink the ways students are placed in math courses. 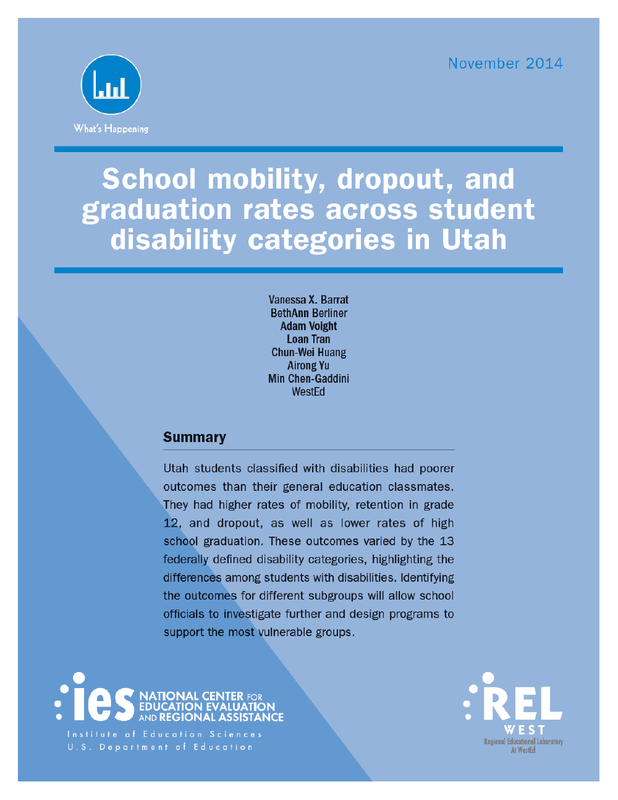 This study helps educators and policymakers understand which students with disabilities are most in need of interventions to keep them in school and graduate. 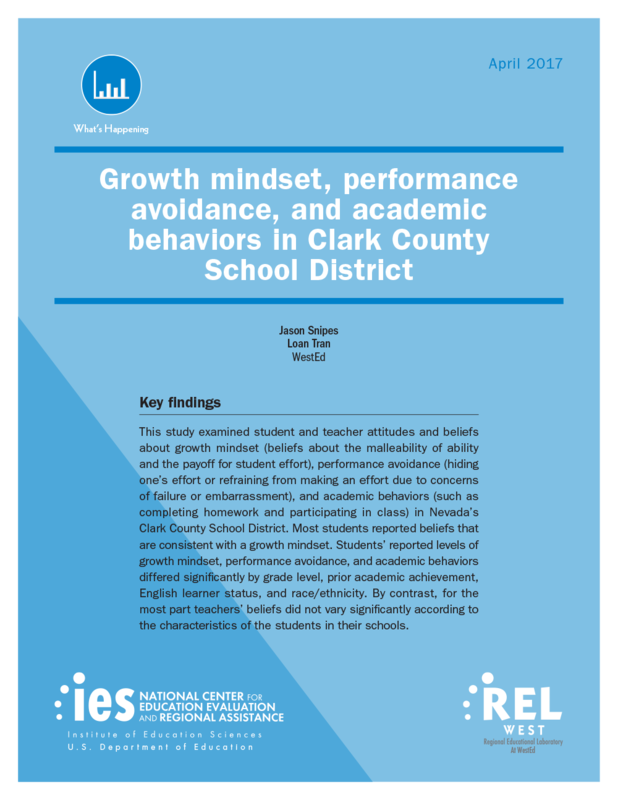 REL West is helping states implement and test new systems to reliably evaluate the effectiveness of their teachers and principals. 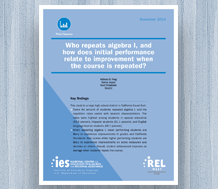 Student achievement in mathematics is the focus of this issue of the REL West Research Digest. Download your copy today! 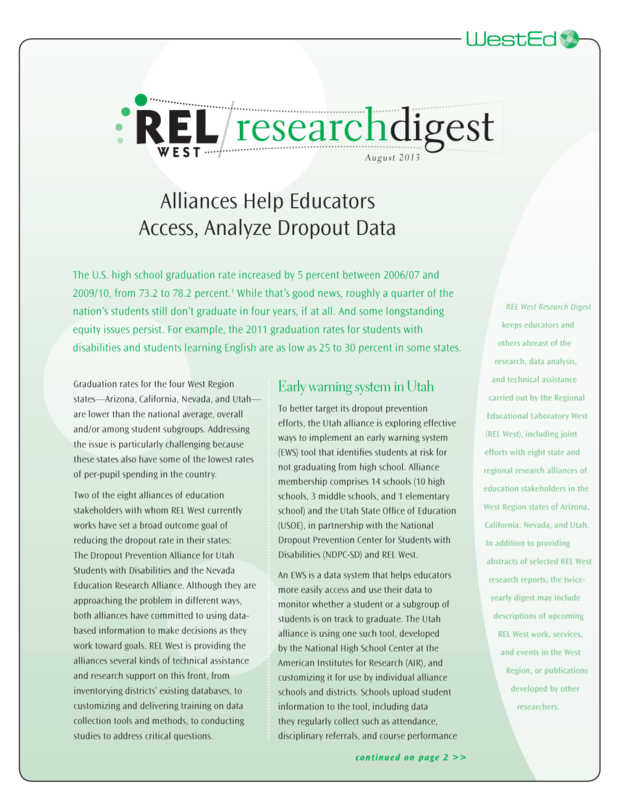 Dropout prevention, a regional priority for REL West and the states it serves—Arizona, California, Nevada, and Utah—is the focus of this issue of the REL West Research Digest. 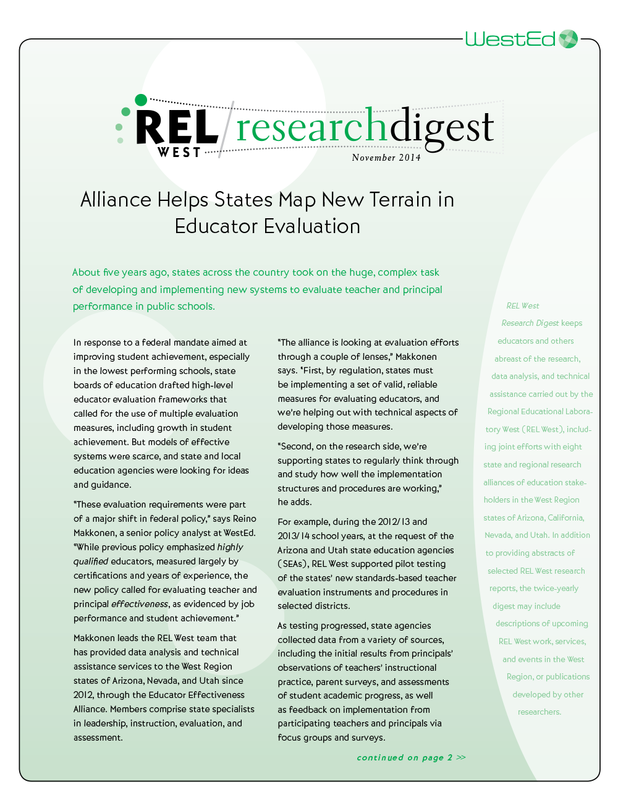 This issue of the REL West Research Digest highlights evaluation's key role in developing school leaders. 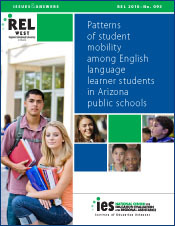 This study, prepared by REL West, examines the magnitude of student mobility throughout Arizona, especially among English language learner students. 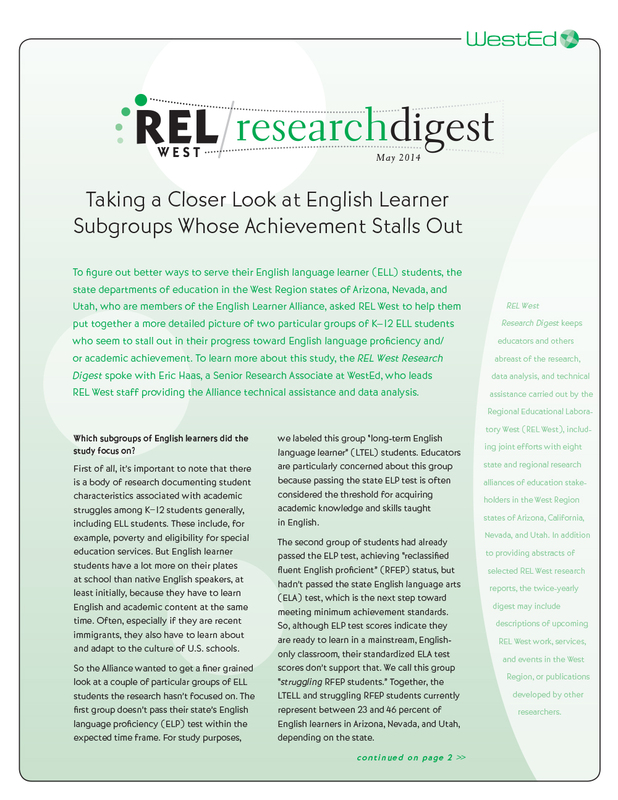 The REL West Research Digest keeps educators and others abreast of the research being carried out by REL West and by other regional educational laboratories across the country. This report details a pilot project to generate and share knowledge by building a searchable database of dropout prevention programs and policies. This study examines the effects of the Program for Infant/Toddler Care on child development and the quality of child care in family child care homes and centers.